Fine 19thC oil painting of foxhound by Alfred William Strutt. 'Haven't We Met Before?' 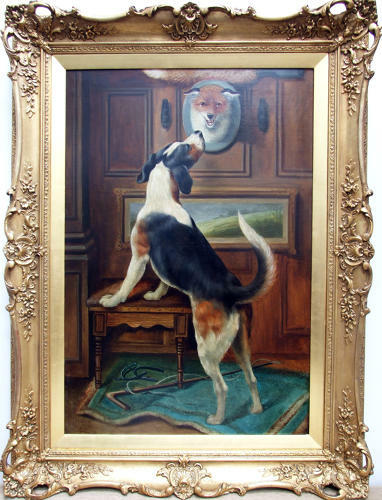 A finely accomplished and witty large Edwardian oil painting of a foxhound inspecting a mounted fox head and brush trophy, by Alfred William Strutt ( 1856-1924) in original frame.